This guide was adapted form the Resources for Colored Conventions Research Guide at the University of Delaware. Database Quick Search helps you to find library resources related to your research topic, by executing a simple search in several of the largest and more popular databases. Checking the boxes by your choice of databases, will open new windows in your browser with your search results for each databases selected. Place quotation marks around keyword phrases (e.g., "journal of american history"). Boolean logic connectors (AND, OR) must be capitalized (e.g., "19th century" OR "nineteenth century") and may not work in all databases. 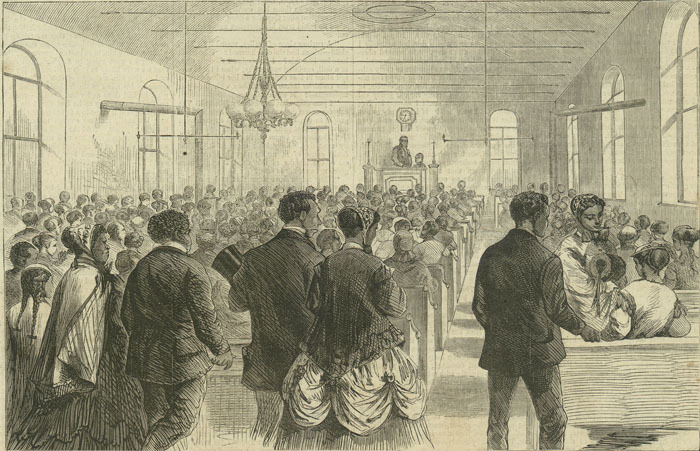 Resources for Colored Conventions Research at the Occidental College is designed to provide assistance to Oxy users of and instructors teaching units connected to Colored Conventions: Bringing Nineteenth-Century Black Organizing to Digital Life, a digital humanities project. Another research guide, Resources for Colored Conventions Research: A Guide for National Affiliates and Public Use, is available online. This guide, created for users at other institutions, does not include hyperlinks to Oxy-subscription databases and Occidental Library call numbers for print material. The two guides were developed for the Colored Conventions Project, directed by Gabrielle Foreman, Ned B. Allen Professor of English and Professor of Black American Studies, University of Delaware. Resources for Colored Conventions Research at Occidental College offers information on a variety of resources. Please select a topic from the list or click a topic tab (above) to explore historical research related to the Colored Conventions.